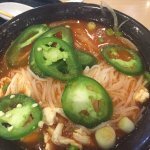 Add jalapeno at the fixin' bar at your own risk! 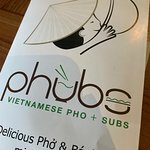 Phubs is a go to for our office from subs to the pho there is something for everyone. If a candidate doesn't make it to Phubs for the interview they will definitely be going there during orientation. 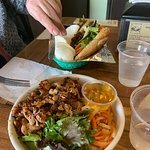 My first time trying Vietnamese food, so I don’t have anything to compare but I thought it was great. 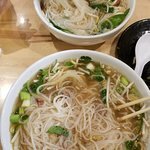 Got the popular beef pho with the summer rolls. I would definitely eat here again. 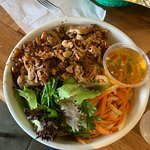 Fast, casual Vietnamese food. Fresh ingredients and friendly service. 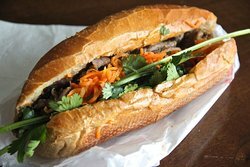 Delicious Bahn Mi Sandwiches. We visit regularly! 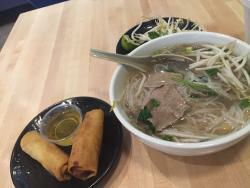 Great fast casual Pho. 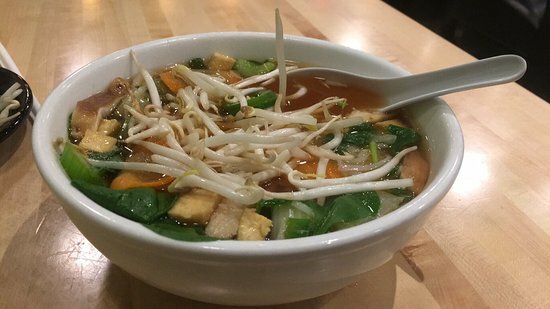 Gives you a great feeling when you walk in and smell the great broth. 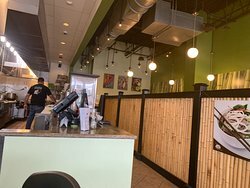 This one the first spot I had Pho at and I have been hooked since. 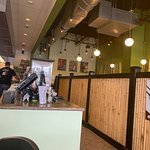 Great place for PHO and other selections. teh PHO was hot, plentiful and just what you would expect. 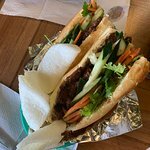 Get quick answers from Phubs Vietnamese Pho+Subs staff and past visitors.